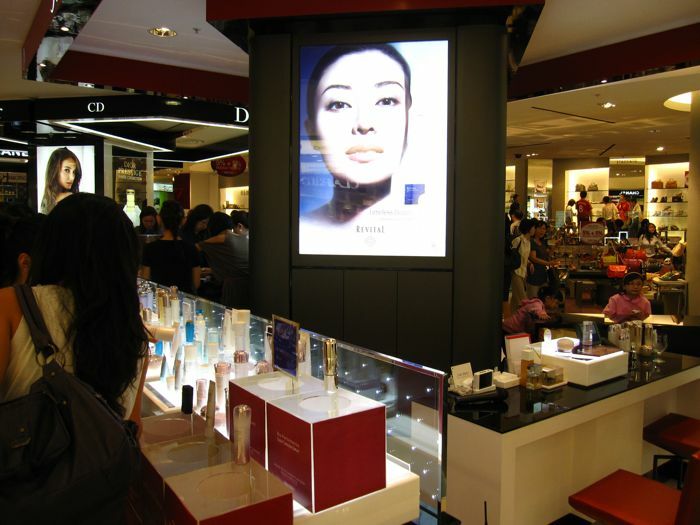 A couple of weeks ago, Shiseido held a counter party to unveil its newly revamped counter at Robinsons at Raffles City as well as its current top 10 bestselling products. 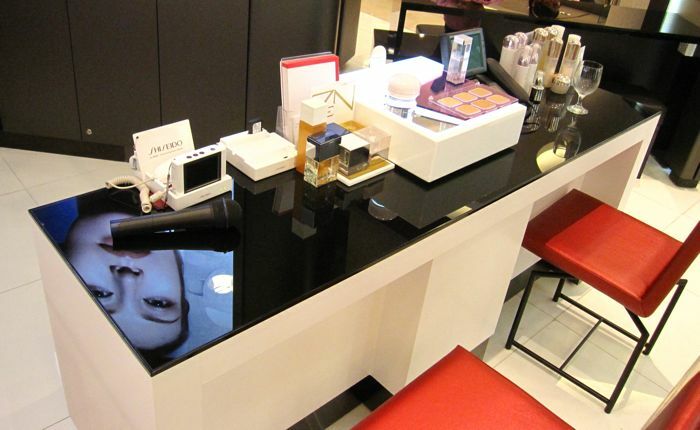 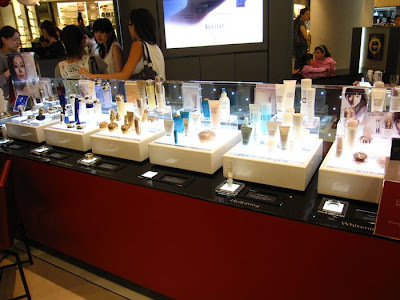 The new counter looks brighter and more inviting with the skincare and makeup ranges neatly laid out to facilitate easy browsing and testing of the products. The premium Future Solutions range gets its own dedicated corner with a consultation area. 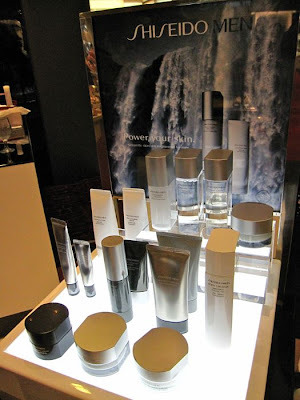 The skincare range for men. The Maquillage summer makeup collection introduces a new Lighting White Powdery UV foundation (S$60 for refill), two Lighting Eyes Creator quads and two Rouge Enamel Glamour glosses. 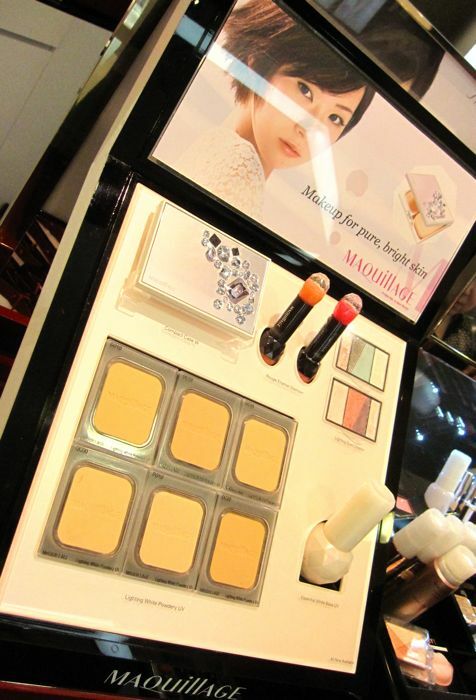 You can view the TV commercials featuring Sheena Ringo and Emi Takei on the Maquillage website. 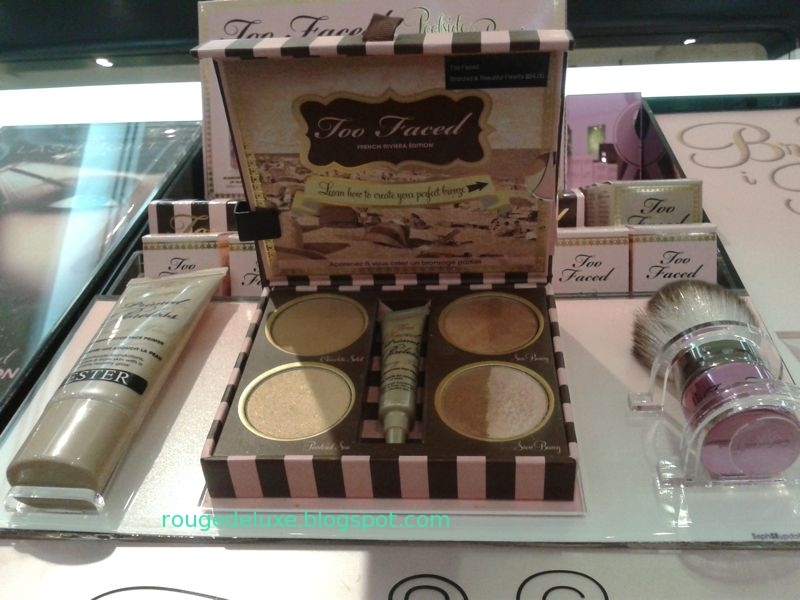 The Too Faced summer makeup collection has just arrived at Sephora stores in Singapore. 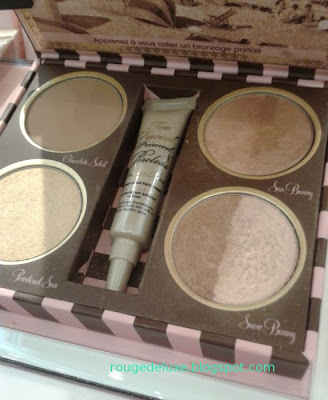 The Bronzed & The Beautiful - French Riviera Edition (S$64) contains three of Too Faced's bestselling bronzing formulas in Chocolate Soleil (matte, cocoa-infused bronzer), Sun Bunny (golden-hued bronzer) and Snow Bunny (pink and mocha gold), plus Powdered Sun (a golden highlight powder) and a deluxe sample tube of Primed & Poreless SPF 20 Tinted Primer. 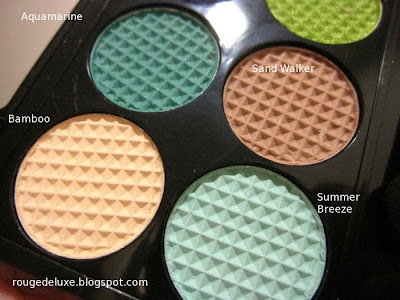 The palette looks very appealing but I passed on it as I don't use bronzers. 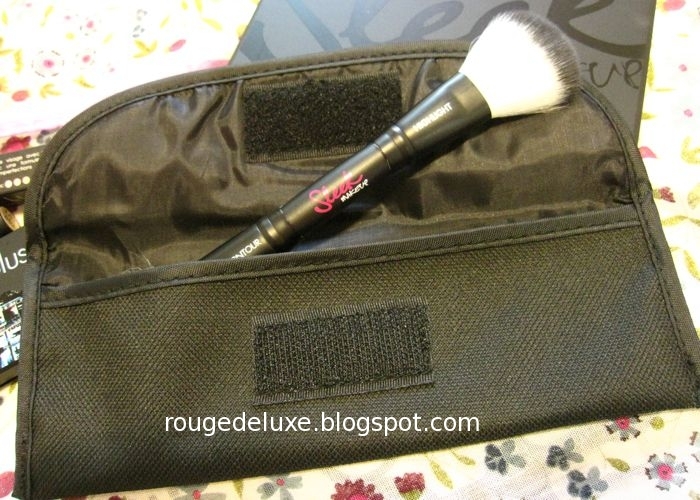 The cruelty-free Retractable Kabuki Brush (S$52) feels very silky but I'm not sure why this is displayed instead of the Retractable Bronze-buki Brush. 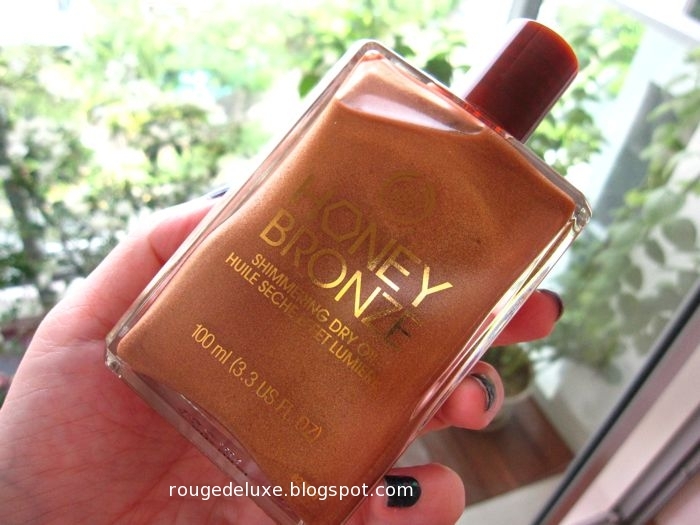 The Bronze-buki Brush is in stock and retailing at S$52. The Eye Love Palette (S$55) contains eight powder eyeshadows from Too Faced's popular Natural Eye, Smoky Eye, Naked Eye and Romantic Eye Palettes, plus a small tube of Shadow Insurance. 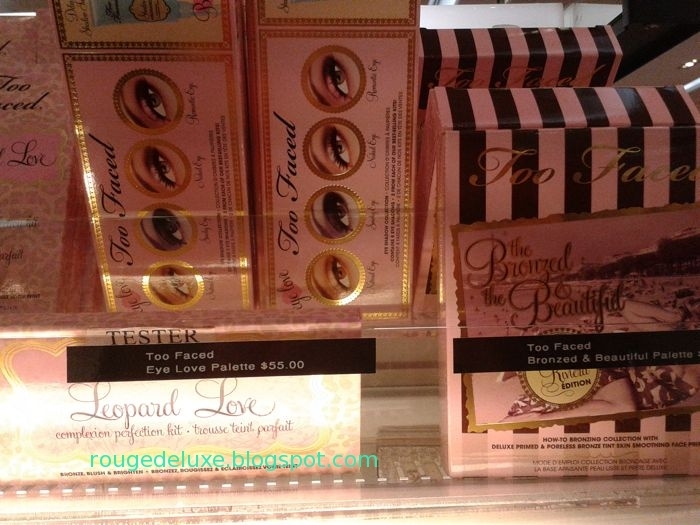 Sephora USA had earlier offered this palette as a 500-point perk for Beauty Insiders. 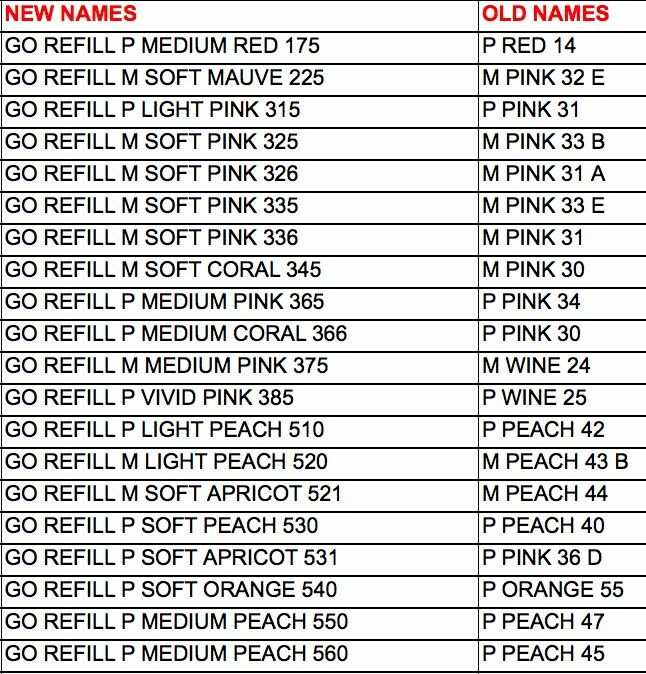 It is also available on ASOS.com for £24. 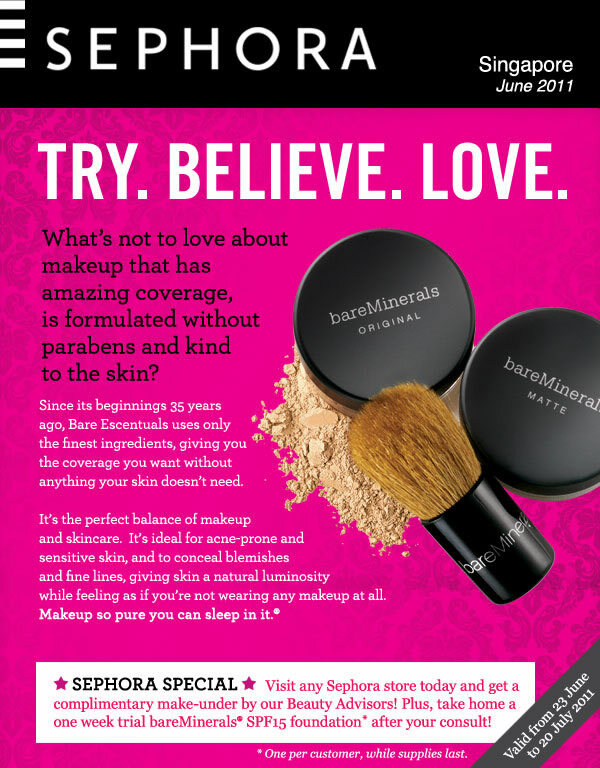 Sephora Singapore is offering complimentary "make-unders" and samples of Bare Escentuals bareMinerals foundation from now till 23 July. 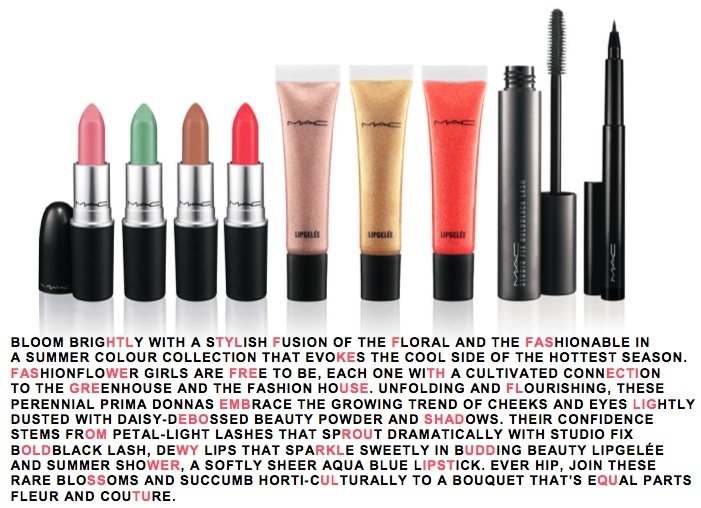 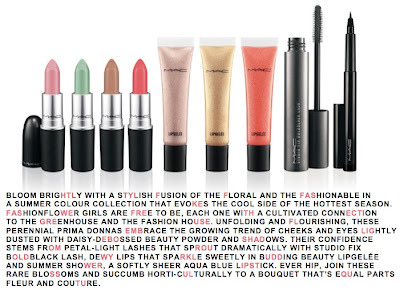 MAC will launch the Fashion Flower collection this Friday in Singapore. 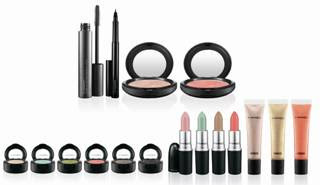 Semi Precious, the mineral collection, is also expected to arrive some time in July at local counters. 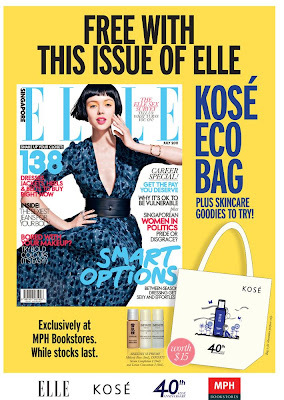 MPH is giving away a Kose 40th Anniversary eco-bag and samples of Sekkisei Supreme Makeup Base (9ml), Infinity Serum Completion I (9ml) and Lotion Concentrate I (9ml) with this month's Elle magazine. The promotion is exclusive to MPH bookstores, which are located at Raffles City Shopping Centre (B1), PARCO Millennia, and Robinson Road. When previews of Sleek's Mediterranean collection surfaced back in early April, the Monaco i-Divine Palette immediately went onto my shopping list. 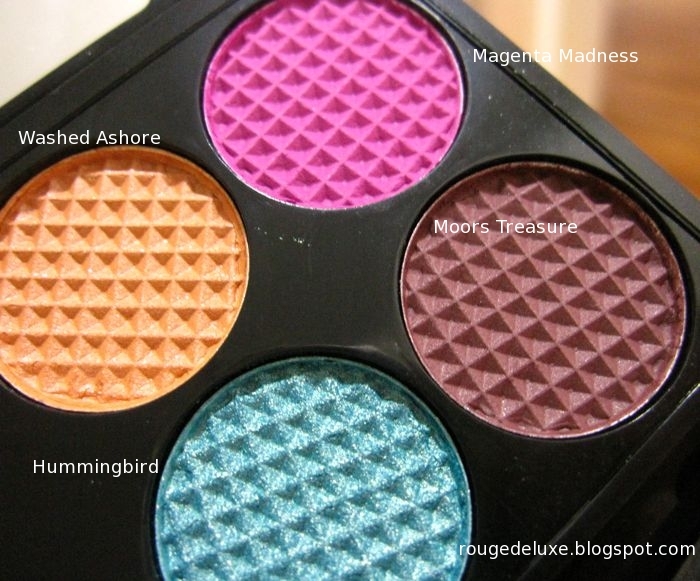 The vibrant rainbow of shades looked perfect for some summer time fun. 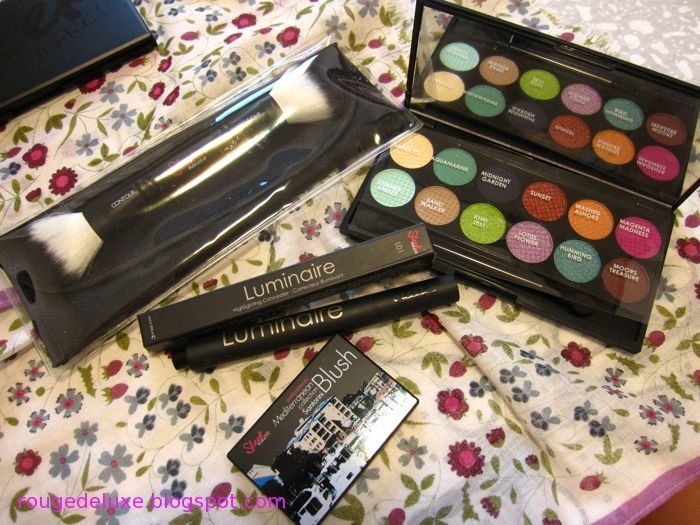 Thanks to Kas, I received my order of the palette, Santorini blush and the dual-ended Contour Brush last weekend. 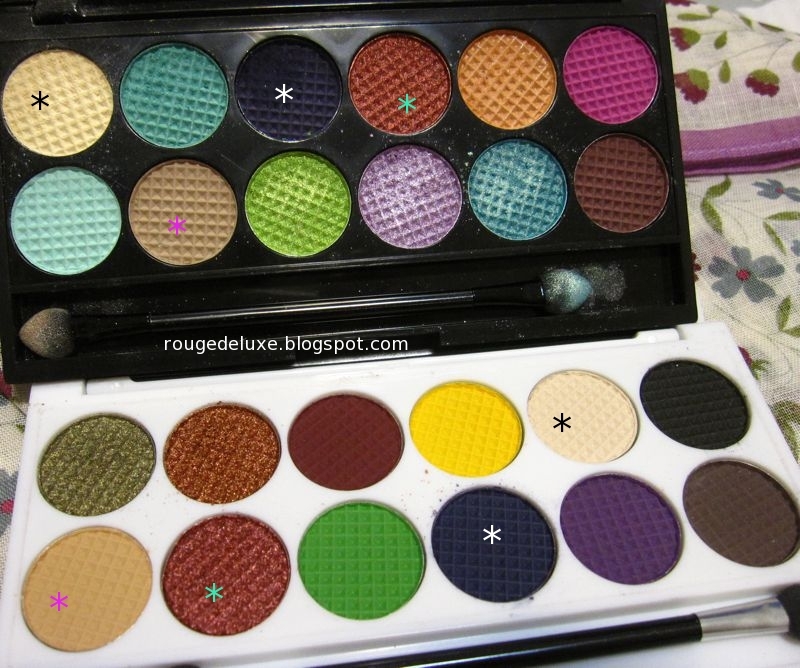 With a mix of matte and shimmery shades, the palette enables one to create a diverse range of looks. 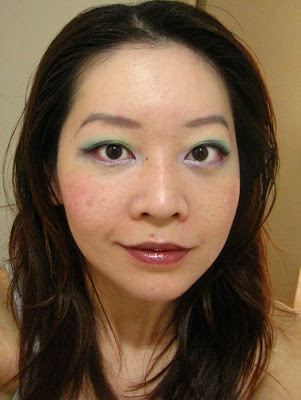 Some ladies may be put off by the abundance of blue and green shades in the palette but it's actually pretty easy to create some simple looks for day with this palette just by using two or three shades, for example a gradational look in beige/brown or a wash of the shimmery lilac paired with the off-white and lined with the midnight blue. 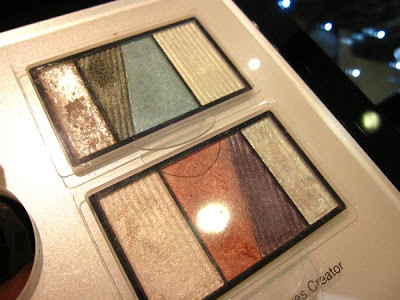 If you are not used to wearing brighter shades, you can always start by using such shades in moderation as an accent colour in the crease or along the lower lashline, or from the upper lashline to the crease. Just don't do a huge wash of bright turquoise or Kermit green from lashline to the brow (unless you don't mind the stares)! Makeup is about having fun and experimenting, so do try to venture out of your comfort zone sometimes, play around with different combinations rather than get stuck in the mindset that you can only wear certain shades. The textures are typical of Sleek's palettes with good colour payoff and blendability. 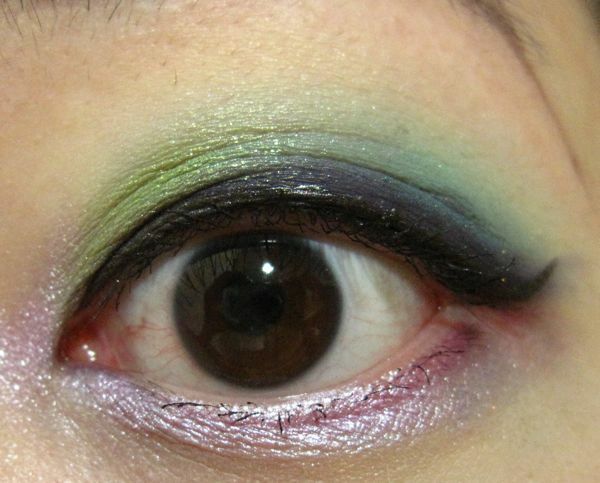 As usual, the darkest shade, Midnight Garden (midnight blue), is very intense and great for creating a smoky eye, but the powdery fallout is a pain to deal with as it can be difficult to wipe off completely unless one uses makeup remover. 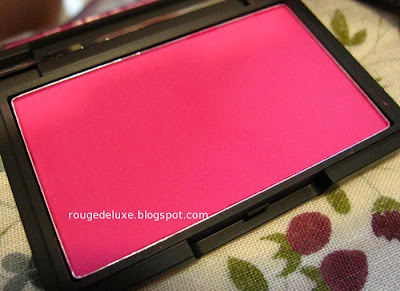 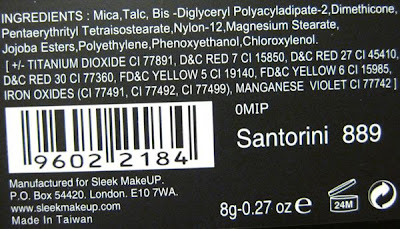 Santorini is a blue-based shocking matte pink. As it is ultra pigmented, it's best to use a stippling brush to apply to avoid ending up with clown cheeks. The Contour Brush (US$10) comes with its own case and is made of synthetic materials. 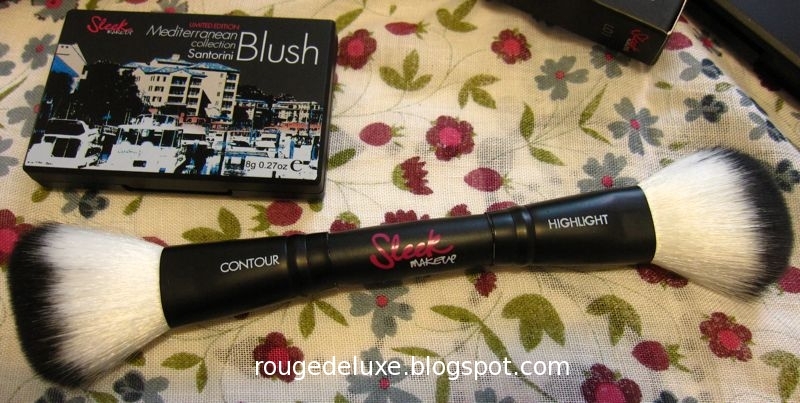 I have't used it yet but the bristles don't feel as lush and dense as my Urban Decay blush brush. For this look, I used Urban Decay Primer Potion as the base, Midnight Garden along the upper lashline, Kiwi Zest in the inner half and Hummingbird in the outer half of the upper eyelid, Summer Breeze blended lightly just above the crease, Lotus Flower at the inner corners and along the lower lashline, and Bamboo over the browbone area. 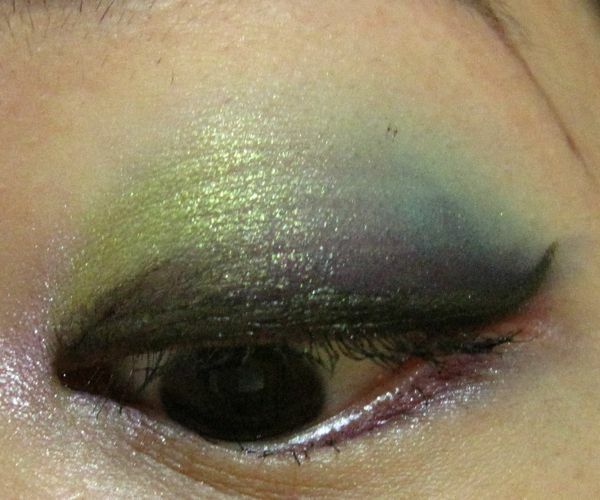 I finished by applying MAC Superslick Liquid Eye Liner in marked for Glamour and Etude House Henna Fix Proof 10 Mascara #1. 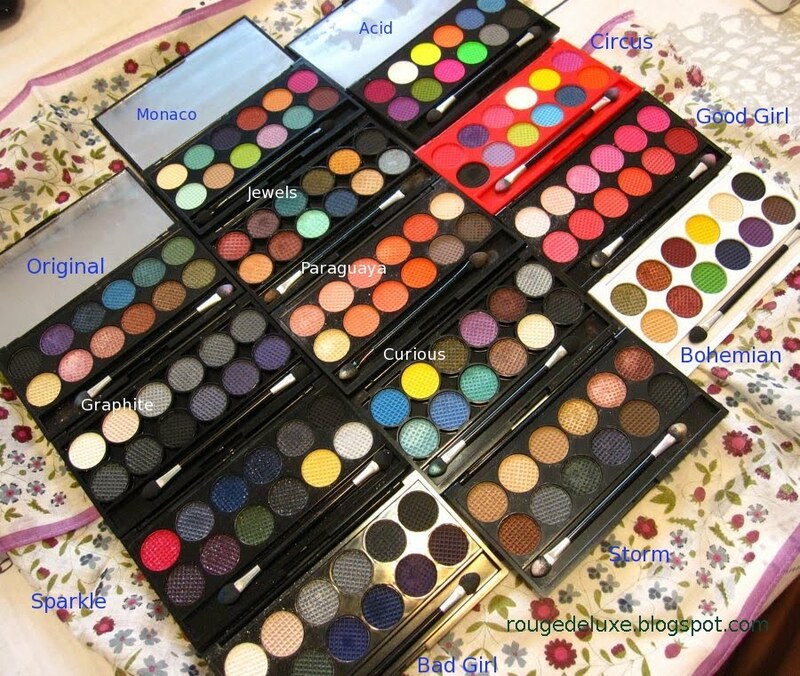 My ever-growing stash of i-Divine Palettes :-) I'm looking forward to adding Oh So Special, Curacao and Au Naturel to my collection. 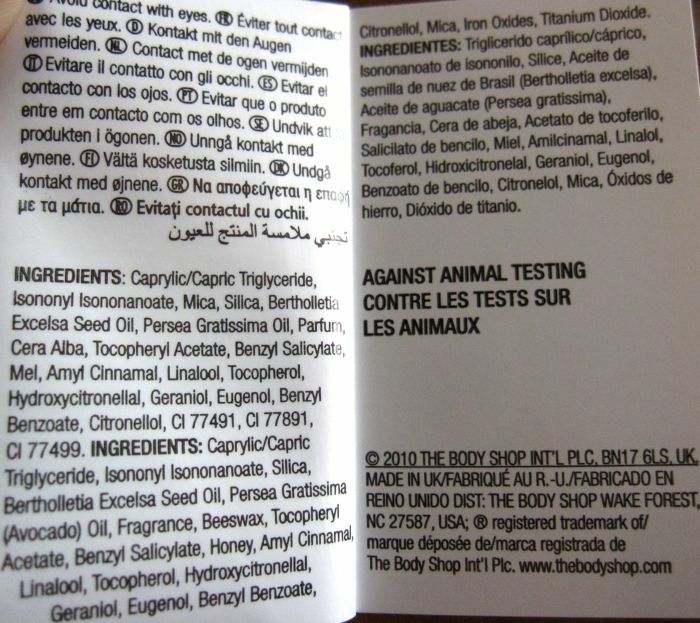 Compared with the other palettes, I think Bohemian (which was limited edition and no longer available) was the only palette that had some similar shades to Monaco (marked with asterisks in the photo below). 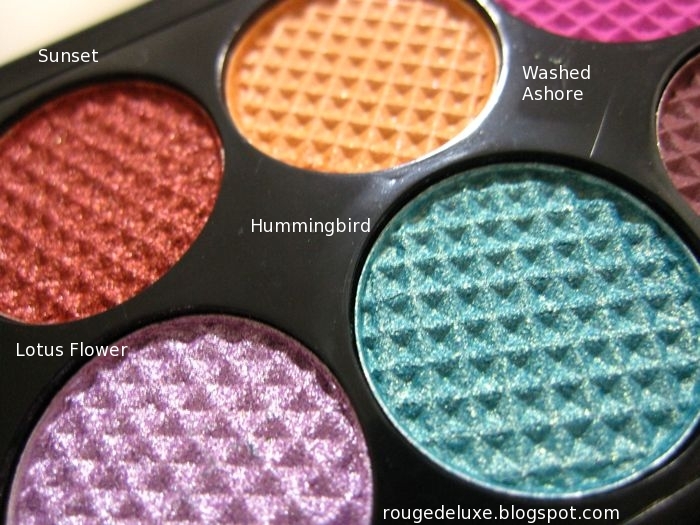 Most of the shades in Monaco did not have exact dupes in the other palettes. 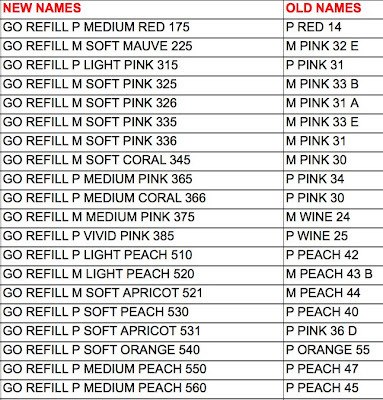 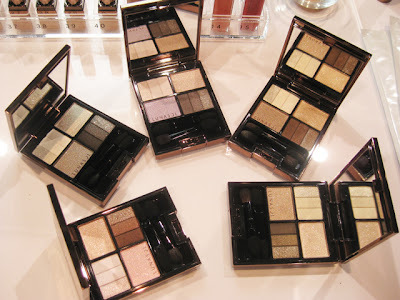 When Shu Uemura revamped their Pressed Eye Shadows and Glow-on Blushes recently, they also re-numbered many of the shades. 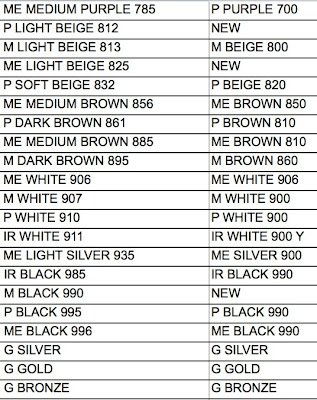 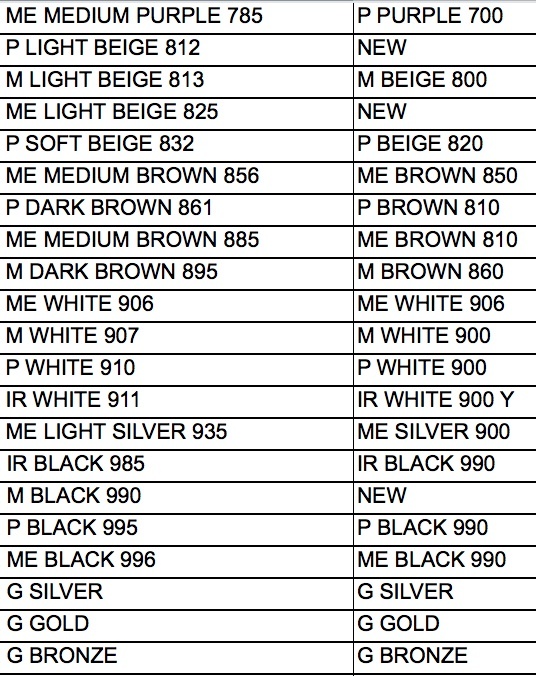 Below are the lists of how the new shade numbers match up with the old ones. 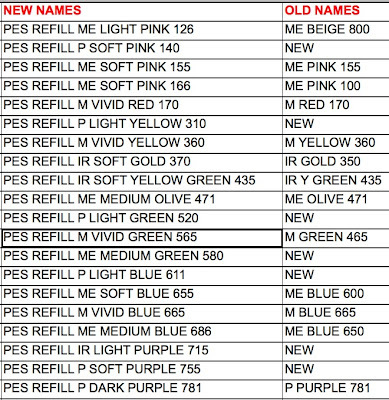 Do note that these are for the 45 eyeshadows and 28 blushes that are available in Singapore whereas in Japan, there are 55 eyeshadows and 30 blushes. 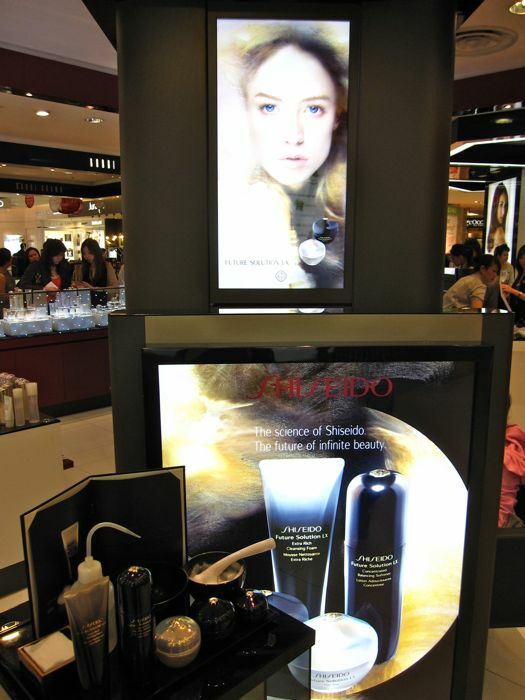 Biteki.com has posted several photos from the press launch in Japan for the Lunasol fall collection. The eyeshadow palettes are all beige-based, playing to Lunasol's strength in creating flattering beige tones. 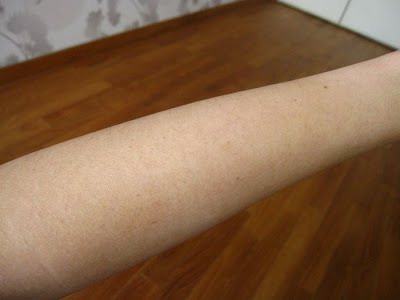 As some may know, the brand's long-running bestseller is Skin Modelling Eyes #1 Beige Beige. 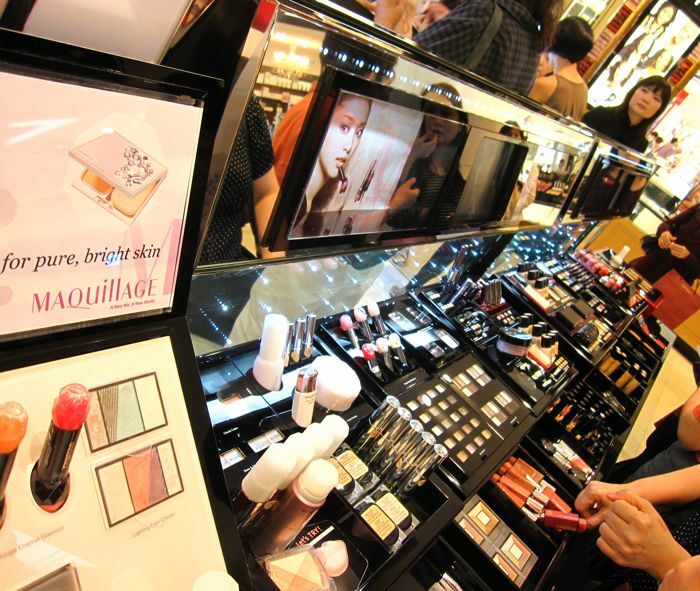 Fans of Tsubasa Masuwaka may be happy to know that the limited edition Dolly Wink lash set from the Kobe Collection will be available in selected Watsons stores starting this week. 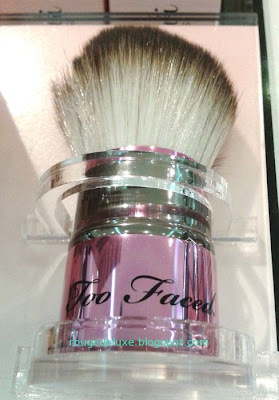 Priced at S$24.90, the set includes the popular Upper Eyelash #02 Sweet Girly paired with Lower Lash #06 Baby Cute, plus a purple eyelash case. 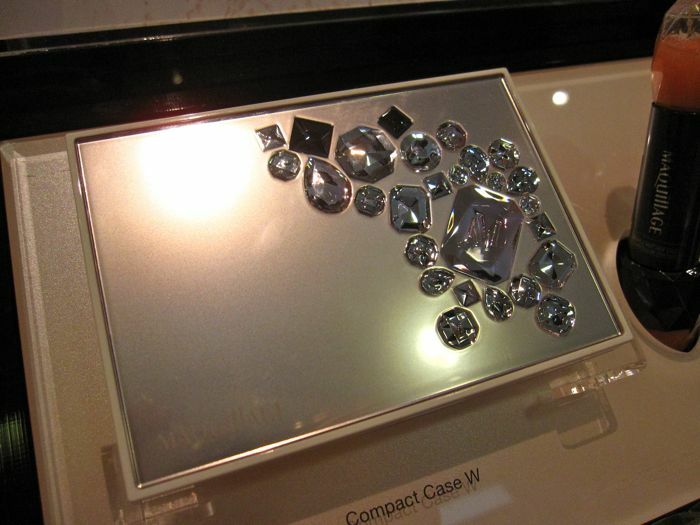 The case usually retails for $9.90 on its own. 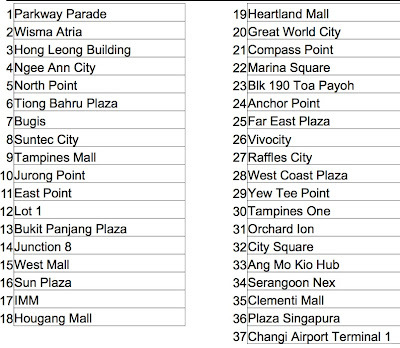 The set will be available at the Kawaii Corner in the following Watsons stores. 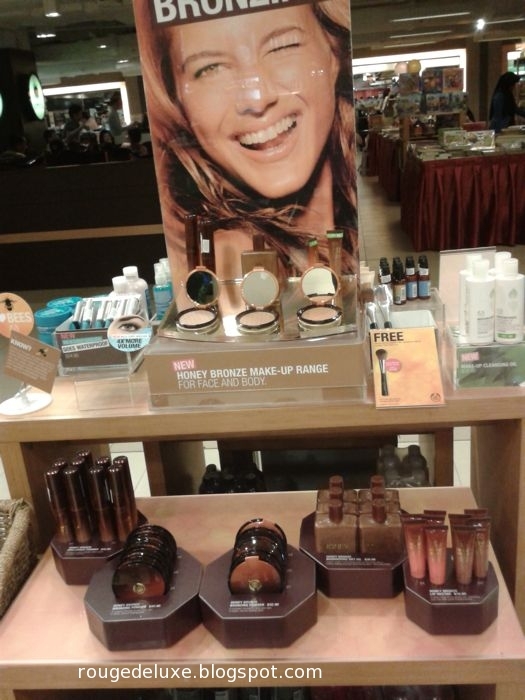 The Body Shop's "Honey Bronze" summer makeup collection has just arrived in stores in Singapore. Featuring powder bronzers, shimmery dusting powders, dry oil and lipglosses, all infused with fair trade honey and beeswax, the collection is just what one needs to get bronzed and glowing for summer. The Honey Bronze Brilliance Powder (S$32.90) in #1 Bronze Shimmer and #2 Copper Shimmer are super sparkly. 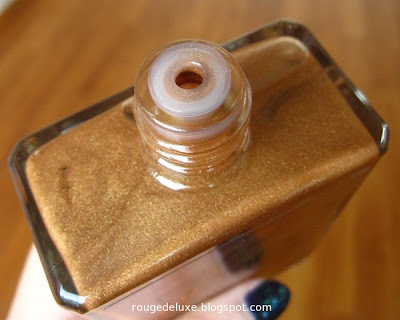 Bronze Shimmer applies as a bronzey gold shimmer while Copper Shimmer has a more rosy pink tint. 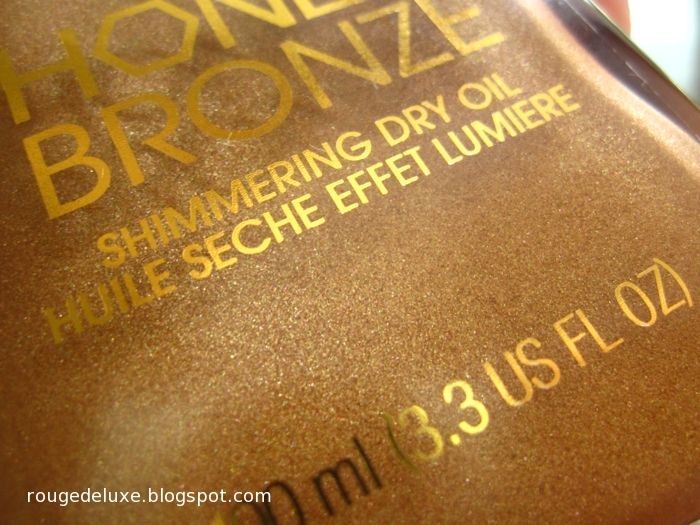 Personally, I think it's too sparkly to use on the face but it's nice for the décolletage. The Honey Bronze Lip Nectars and Bronzing Powders didn't really perk my interest. Instead, I zoomed in straight on the Honey Bronze Shimmering Dry Oil, which has been garnering positive reviews online. Thanks to Kas who is a Star Loyalty member, I was able to purchase this at S$31.30 (15% off the normal price of S$36.90). The plastic stopper helps to moderate the flow of the oil so that it doesn't gush out uncontrollably. 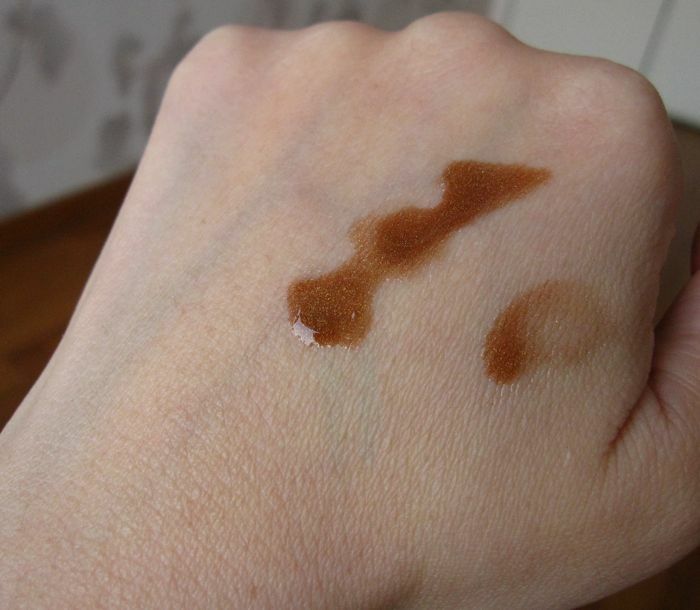 While the dry oil looks shimmery in the bottle, when applied, it gives my skin more of a subtle, healthy sheen. I can't really see any shimmer particles, unless I look very closely. 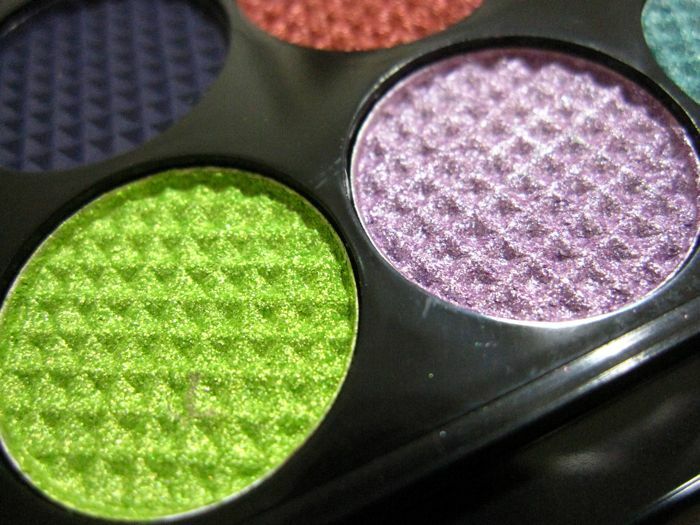 So there is no need to worry that it will make one look like a disco ball. 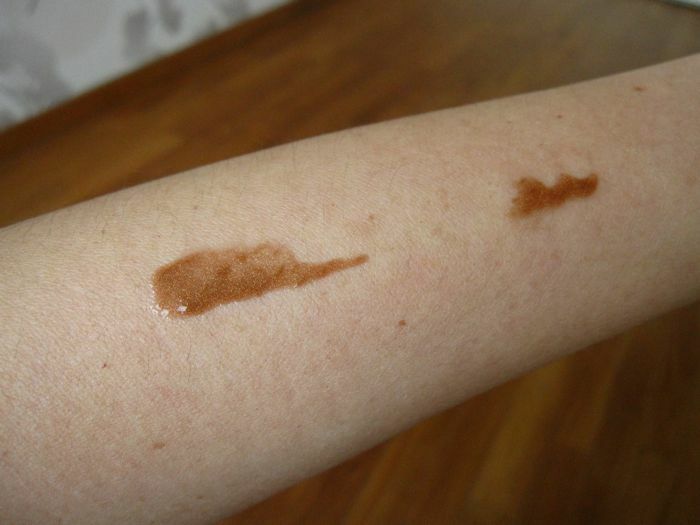 The oil absorbs easily without any streaking and adds a touch of color to my skin. 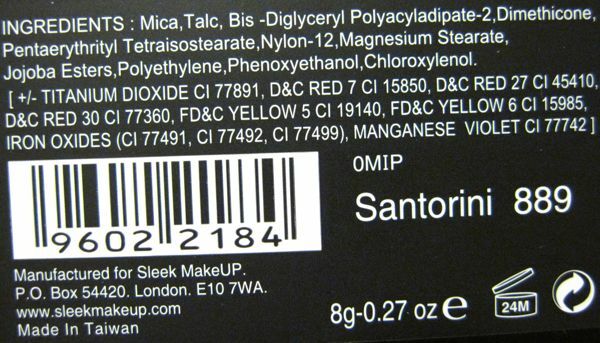 My skin feels more moisturised without being overly greasy. 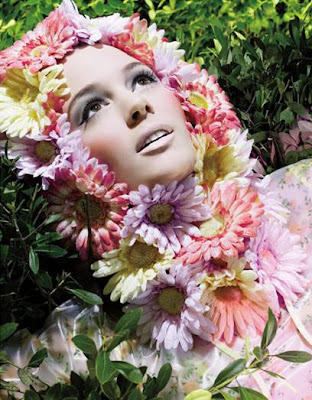 The scent reminds me of gardenias. 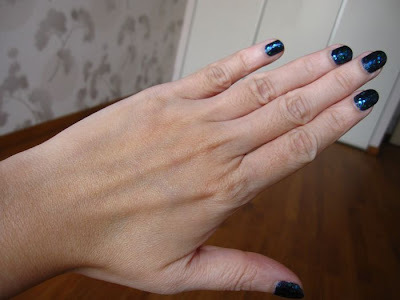 In the photo below, you can see the slight shade difference between the back of my hand versus my fingers where I did not apply the oil. 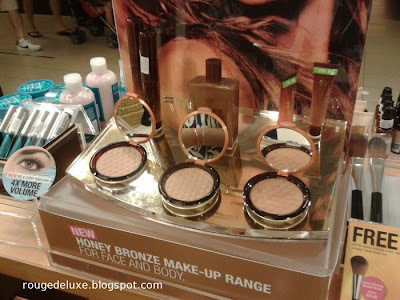 If you spend S$40 on makeup, including one Honey Bronze product, you can get a blush brush worth S$24.90 for free. 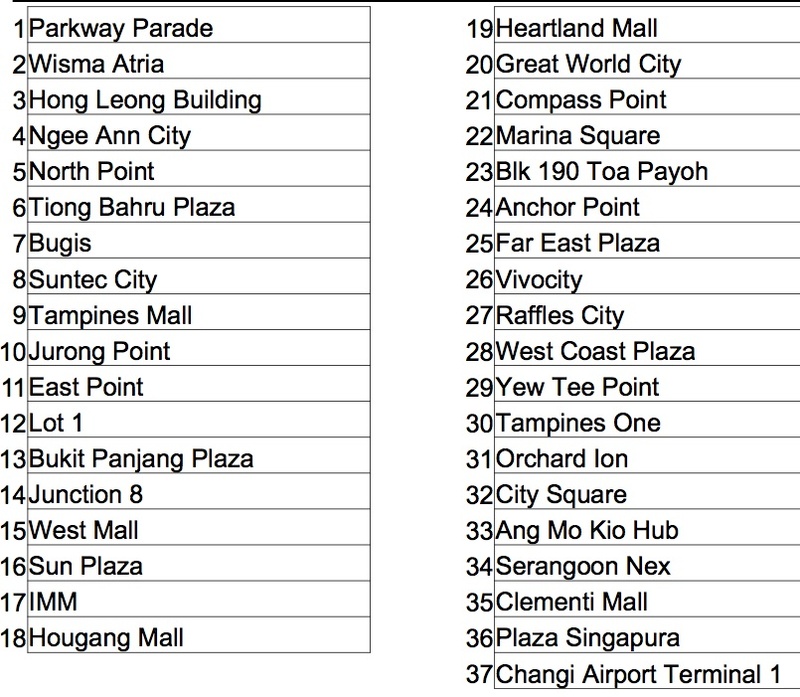 On top of that, you can get a S$20 voucher with any S$80 purchase. 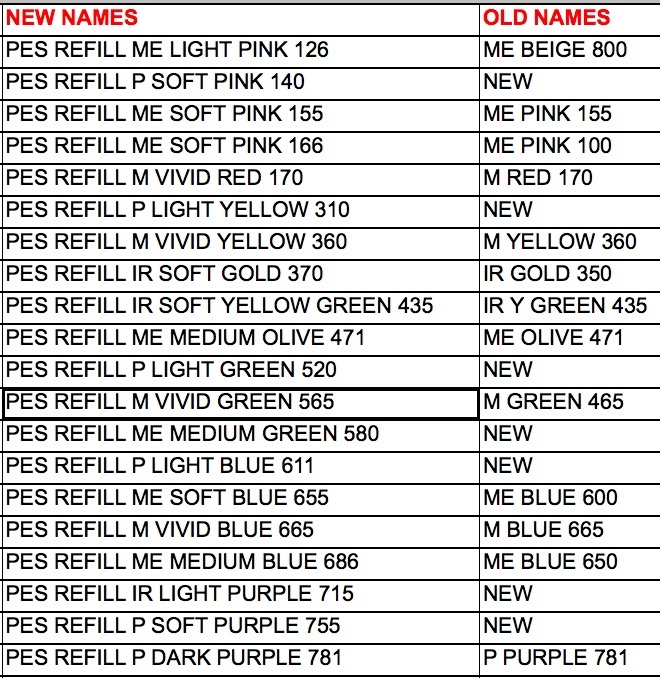 You can view the current list of promotions here.